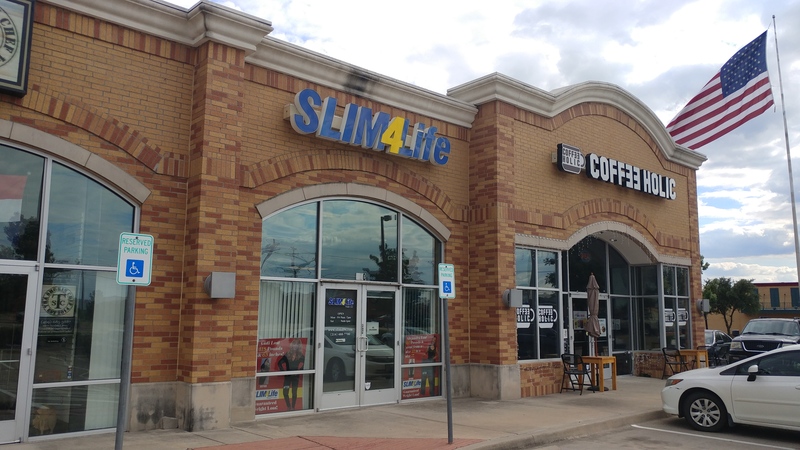 Our Lewisville location is at 310 E Round Grove Rd, Suite 250, Lewisville, TX 75067. Our Lewisville location opened in 2008. It was one of the fir st 4 locations to open in the DFW area. The Lewisville center is in the Shopps @ Round Grove Shopping Center, near to Wells Fargo Bank. This is a highly visible location, right on highway 3040. Since the Lewisville location has been open 9 years this year it is well known for its excellent service. It has top notch staff that go above and beyond for their clients. Losing weight is easy if you have a support team behind you, working wit h you one on one every step of the way. A client’s success is our success. Every successful client we have tells their friends, family and co-workers and that is why we have such a growing business. We work wit h our clients one on one to assure they are successful. Lose weight fast and remain 5lim4Life. Make an appointment at our Lewisville weight loss center today!